This Friday, December 21st, Chulbul Pandey is back and ready to give you even more masala fun, romance and action at the movies. Yes, Salman Khan is once again stepping into the shoes of Chulbul Pandey for Dabangg 2; the sequel to Dabangg and fans cannot wait! The original, which opened in 2010, was a monster hit and it is expected that the sequel will do even better. Directed by Arbaaz Khan, Dabangg 2 also sees the return of Sonakshi Sinha as Rajjo. Dabangg 2 begins from were the original left off with Chulbul and Rajjo married and according Khan it is a true sequel which follows the couple to a new place, new adventures and of course has some killer action. Check out what the actor has to say on all things Dabangg 2. How would you describe your character Chulbul Pandey? Chulbul, as a character, can do anything and get away with blue murder. In this genre, you can do anything as an actor. Even in Ready, I was Prem but then a little bit haraaami too. My character takes off in Dabangg 2 from where Dabangg ended. How tough is it to come up with a sequel? It is very difficult to make a sequel. Even in the West, it is only Sylvester Stallion’s sequels to Rocky and Rambo that have done well at the box office. When you set out to make a sequel, you tend to get carried away. If it looks like we deliberately set out to make a comedy, it cannot be similar. 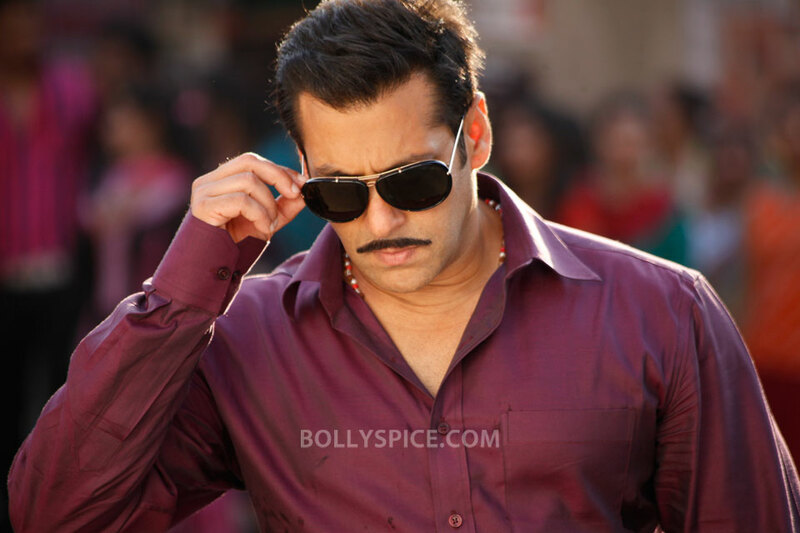 What is the message of Dabangg 2? The message is that very few married couples continue to romance even after their marriage. The story is set in Kanpur now where Chulbul and his wife migrate. In every which way, Dabangg 2 is a real sequel and we are not just cashing on the brand value that Dabangg had generated. How is Sonakshi in the sequel? After having acted with established directors like Subhash Ghai, David Dhawan, how easy was it for you to work with a new director like Arbaaz Khan? In my career, with the exception of Subhashji and David Dhawan, I have worked most of the times with only new directors, whether it was Karan Johar in Kuch Kuch Hota Hai, Sanjay Leela Bhansali in Khamoshi, Siddique in Bodyguard, Abhinav Kashyap in Dabangg, Kabeer Khan in Ek Tha Tiger, Prabhudheva in Wanted, Anees Bazmee in Ready. So, how was your brother Arbaaz as a director in Dabangg 2? Arbaaz is an industry boy from a film family. There was a time when he used to assist on the sets. Arbaaz is a sensible boy and knows the rips of direction very well and a fantastic storyteller. What I like the best about Arbaaz is that we have a comfortable zone and he set out to make the film with his own hard earned money and not some on else’s. 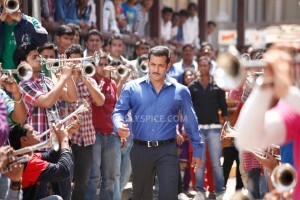 If he did not like the way a particular scene was shot for Dabangg 2, he used to insist on reshooting it. People insist that you interfere with your directors. Is it true? You seem to like action a lot! To keep myself fit, I want to do action. I would love to do a film of action comes in it with a baggage of emotion. Whether it is an action film or an emotional film, the introductory fight has to be interesting enough to hold you as a viewer. The older you grow, the better you grow as an actor. If action is over, romance is over. I am glad that kids today call me Salman or Salman Khan and not Salman Uncle. Even Salman Khan calls me bhai. The younger lot of actors today is a superb lot because they come prepared on the sets. Are you planning to do an out and out action film? Is there any film in the offing where your father Salim Khan will write the subject? People ask me why my father is not writing for any film when any director would gladly give his right arm to have a script written by the man who had written legendary films like Deewar and Sholay. I am glad that my father is enjoying his retired phase because frankly I do not think that he has the patience to deal with the directors and the kind of sensibilities that they come with today. You’re king of the boxoffice with many films like Ready, Bodyguard, Dabangg and Ek Tha Tiger that have crossed the coveted 100 crore. 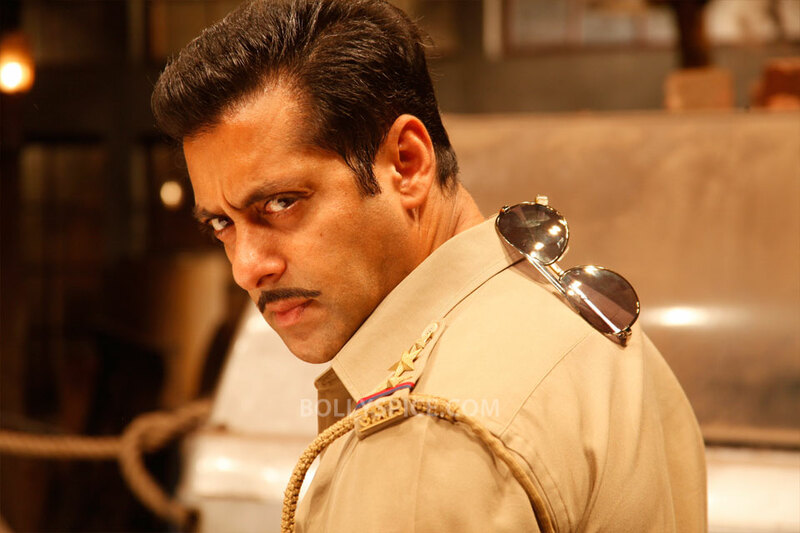 How do you feel now that Dabangg 2 is also all set to join the league? My filmi funda is very simple. Every film will not necessarily cross the 100 crore league just because I am in it. If a film is bad, it will definitely not cross the 100 crore plus mark. It is not easy but it is achievable now, if a film is good. It was difficult to believe that a film can gross 100 crore plus two years back but now it is quite possible. What is your take on success? I have my own pulse. I will succeed only if I believe that my own pulse is that of the audiences. As Salman Khan, I have become a megalomaniac. If I can deliver as Chulbul Pandey, it is fine but it is bad if I do my role as Salman Khan. What next after Dabangg 2? I will start work on Sohail’s next, Sajid Nadiadwala’s Kick and last but not the least Sooraj Barjatya’s next film. Dabangg 2 opens with a bang on Friday! 16 queries in 1.240 seconds.